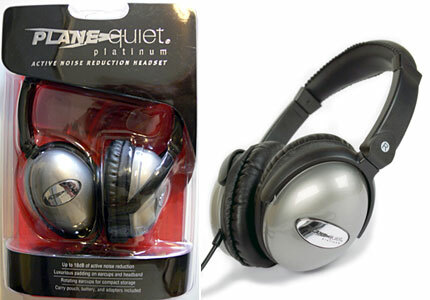 I recently purchased Plane Quiet Platinum active noise canceling headphones to replace my old headphones which I’d accidentally broken. Summary of my Review: They have noticeably better audio quality and much less noise canceling “hiss” than my old headphones, are strong and better built, more comfortable to wear for long periods and have good but not great canceling noise ability. Still work as Passive-Noise Cancelling Headphones without batteries or with flat batteries – many expensive noise canceling headphones stop working altogether as soon as their batteries go flat. Comfortable to wear for several hours they’re relatively light weight, don’t squeeze your head and the headband doesn’t feel tight. Around your ear (circumaural) headphones – Surround your whole ear with padding. Pros: Excellent noise cancelling abilities. Cons: Expensive, large and heavy. Pros:Very Good noise cancelling abilities. Generally smaller and lighter than Around ear. Cons:Don’t offer quite as good a seal against noise as Around ear. Ear buds (in your ear canal) – Like other earbuds that come included with MP3 players etc they fit right into your ear. Cons: Some people like me find them uncomfortable & you can’t share them with others like you can with headphones. In spite of the trade-offs, many people would never go back to normal audio headphones. That’s because noise cancelling headphones do more than reduce noise. They also help alleviate fatigue when travelling, which can result from exposure to low-frequency noise for an extended period of time. You can even use noise cancelling headphones if you don’t want to listen to another audio source but do want to cancel out background noise. And a little bit of quiet can be music to anyone’s ears. Nice review you have here. I have never been much for big headphones as the can be burdensome to carry around. But I am also getting tired of little ear buds that don’t quite stay in my ears or begin to hurt after a while. 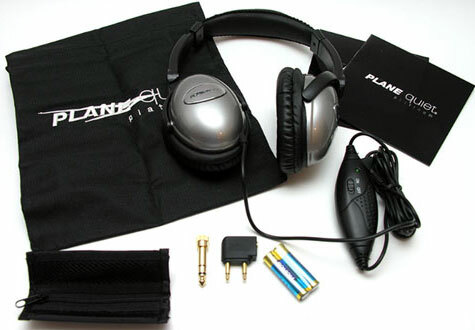 Maybe I can try these and see if I can move into the big headphone world. Thanks! What was the coupon code? I’v always been a fan of big earphones. They are easier and more comfortable to use. This model appears to pretty good, I’v been thinking about investing in these for my next pair. Thanks for the review. Whether headphones are closed, semi-open or canal type doesn’t really bother me…but you’re quite right about the pros and cons of the different types. Also depends on how you’re planning to use them and listen to music. i.e. for sport or at the gym, canal earphones might be best. I do agree that our ears need noise cancelling devices to protect us from “noise pollution”. thanks for the info here. Previous PostPrevious If You Were a Star Trek Character: Who Would You Be?